The Incredibly True Adventures of an EdTech Trailblazer: GISL: Developing Your PLN at an Exponential Rate...with Twitter! 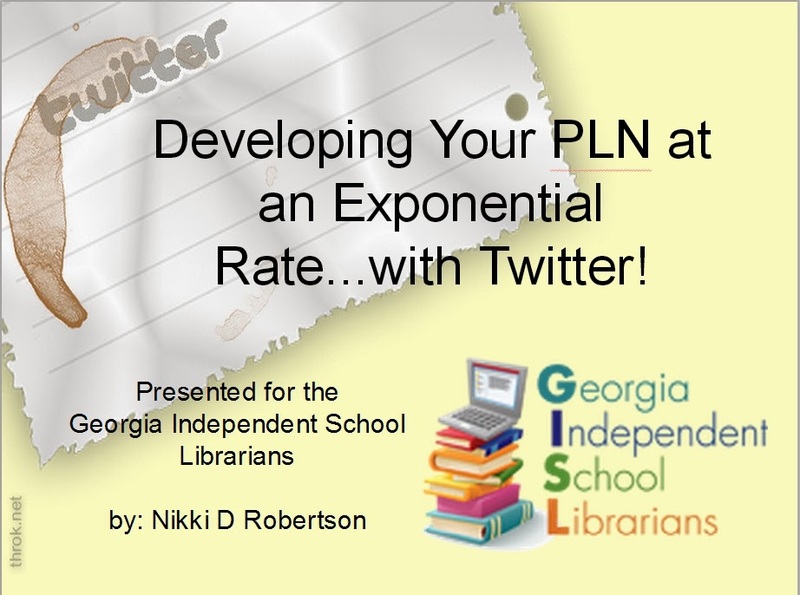 GISL: Developing Your PLN at an Exponential Rate...with Twitter! Tomorrow (9/26/2013) at around 10:30 ET I have the great pleasure of meeting the Georgia Independent School Librarians (GISL) virtually and sharing how to build a Professional Learning Network (PLN) with Twitter. We lost our signal during the original broadcast, but no worries...we started over! Part 2 is below.